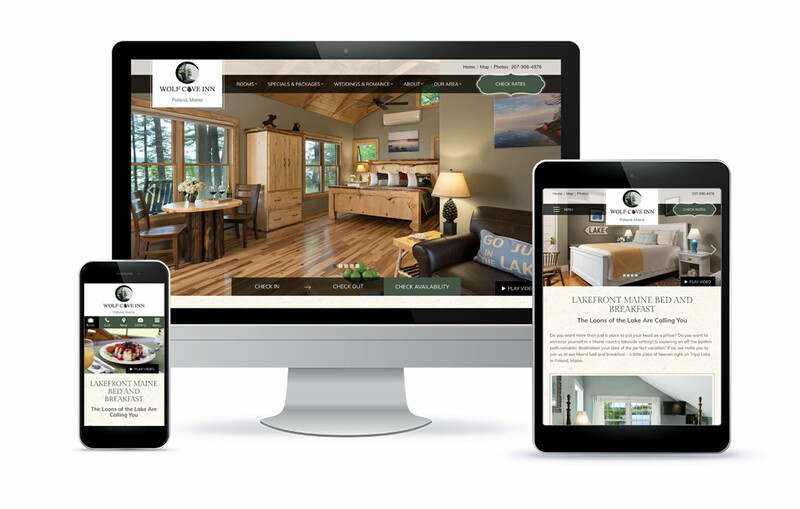 When Roy and Sue joined White Stone Marketing in September 2015, they had recently launched a new website design from another company for their Maine bed and breakfast. They could not justify paying for another new website at the time though it was our recommendation to do so. White Stone Marketing launched our comprehensive digital marketing solutions with their existing website and was able to make great gains in three years with online exposure and bookings. However, we felt we had reached a plateau with their existing website which did not quite capture their property effectively. Finally, in 2019, the time was right for Roy and Sue to take the leap of faith and move forward with a new website design. The new Wolf Cove Inn website launched on February 18, 2019, within the first month, they have almost made back the cost of the new website. Total Online Reservations are up over $7,000. Google organic traffic is up by 53%. Transactions online are up by 20.93%. You cannot underestimate the power of a new responsive, well optimized B&B website design. If you need a fresh set of eyes on your website and wonder if the time is right for you to move forward with a new bed and breakfast website, contact Allison at sales@whitestonemarketing.com.